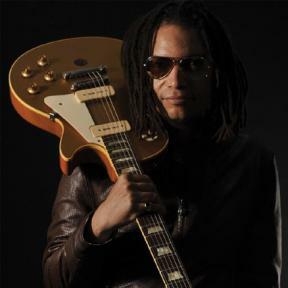 Artist, composer, arranger, producer, multi-instrumentalist, entrepreneur and Post Millennium Rocker,SANANDA MAITREYA was born in New York U.S.A. on March 15th 1962. 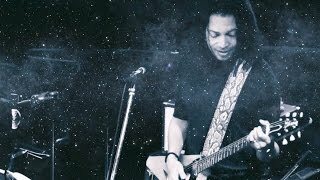 SANANDA MAITREYA was born in New York U.S.A. on March 15th 1962. He plays the basic instruments of Rock: drums, bass, guitar and keyboards; as well as a few others instruments besides and he can never remember a time when music wasn’t playing in his head. From the beginning of his professional career he has personally written arranged and produced all his music and has also collaborated with other top artists and producers. In 1987 his debut album “Introducing the Hardline According to Terence Trent D’Arby”, gives him International success. Sananda wins a Grammy Award in 1988 as Best R&B Vocal Performance, Male. Maitreya in this period also works as an actor, he has a role in 1988 in the movie “Clubland” and in 1999 he plays Jackie Wilson in the CBS TV series “Shake, Rattle & Roll”. After the studio album “WildCard!” Sananda has released with his independent label TreeHouse Publishing a whole new catalogue: the double album “Angels & Vampires” in 2006/07, “Nigor Mortis” in 2009 ,“The Sphinx” in 2011, “Return To Zooathalon” in 2013, the double album “The Rise Of The Zugebrian Time Lords” in 2015. In 2016 he has started the recording of his next double project called “Prometheus & Pandora”, a project that will be released in chapters before its official double album release, expected for 2017. Parallel to the studio albums production, TreeHouse has published 4 Live Albums “Influenza in Firenze”, “Camels at the Crossroads” and “Lovers & Fighters” , “Confessions of a Zooathaholic”, and a DVD “Live at the Blue Note Milano”. The live albums were recorded during his European concerts and Festivals. In his ‘writings & poetry’ section of his website he often cites the many diverse and wonderful artists that have helped to shape his passion for music and continue to inspire and he publishes his blog that has an international audience.